Conestoga Mall is a regional shopping centre located in the city of Waterloo, ON. The centre is situated directly adjacent to the area’s major arterial highway, offering exceptional access and visibility. We offer our 6.2 million annual visitors a range of experiences all under one roof whether its shopping at 140+ stores and services including the trade area’s only Apple, H & M and Pink; dining in a landmark Food Court featuring 14 vendors and seating for 800+; entertainment at Galaxy Cinema, or exploring history at the City of Waterloo Heritage Museum. We pride ourselves on providing a premier shopping experience that includes service excellence for both our shoppers and retailers and a commitment to improve our overall impact on the environment in the areas of energy consumption, water conservation, greenhouse gas emissions and waste management. 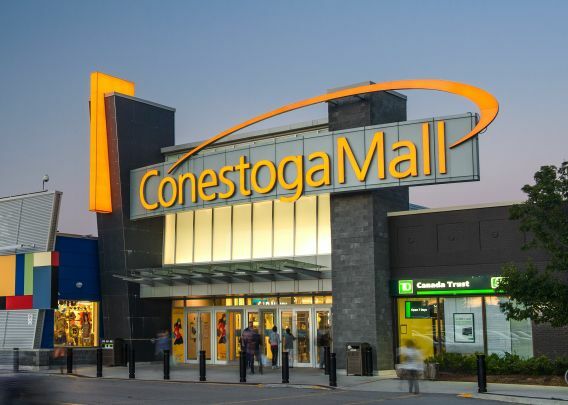 Conestoga Mall is owned and managed by Ivanhoé Cambridge.